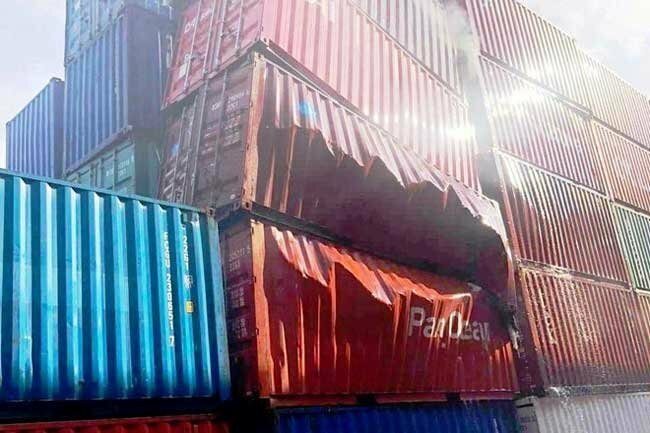 A container of food additives, which was shipped from China and kept at Cat Lai Port in HCMC’s District 2 for customs clearance, exploded on April 11, the local media reported. According to the SaiGon Port Area 1 Customs Branch, at the time of the explosion, smoke was seen rising from the container. The explosion damaged the container and an adjacent one. Both containers have been relocated. Representatives of Saigon Newport Corporation, the operator of Cat Lai Port, and other relevant agencies immediately rushed to the site. Meanwhile, the firefighting force at the port extinguished the fire. The exploded container was one of 20 containers of food additives shipped from Shanghai.